I hope your day is going good so far. It is lightly drizzling this morning and I am loving the gloomy weather. My hubby wants to spend a few hours doing some manly chores around the house but, I think it's going to be a relaxing kick back kind of day!! The sentiment is part of the stamp, which make this set even more beautiful. When coloring this image, I kept thinking of my two very good online girlfriends!! We chat all the time... about everything... Just last week, all three of us were having very bad, no good, terrible kind of days!!! On the same day!!! It was the craziest thing. I have amazing online friends and I hope to meet them in person one day!!! So...set the lobby stuff aside!! My single layer card was colored using my Prismacolor Pencils! I had them out already, so I figured why not!!! You know one thing I love about coloring with pencils!! You can leave your creation and come back to it!! You can add layers and layers of color, without it getting sticky and mistakes can easily be fixed. Well I hope you've enjoyed my creation today and I hope you will join us this week, where (I) will be giving away $15 gift voucher to Simon Says!! I want to say so many things about this..but it's all coming out in a jumble. I'm absolutely overwhelmed by this image. First of all, I always knew what a talented artist you were, but this just goes above and beyond all the other gorgeous cards you've made. Pencils are your thing, that is for sure! I would love to frame this and hang it up on my wall, that's how much I love it. I'm going to be trying pencils now too, you've inspired me! And oh how I LOVE this Power Poppy image! Well done my friend! btw, I'm glad that very bad day is over and we're back to creating beautiful things! Stunning!!! Bestest one layer card eeevvvaaahhhh!! I love that you, AJ and I have bonded even though we have yet to meet in person....until that day.....let's continue to inspire (and enable ;) ) each other!!! Oh, and let the battle of the emojis live on!!! Your flowers are gorgeous-love how you colored them. We all have those days and I had one last week as well. Thank you Kim. It was very therapeutic coloring them too!!! I hope you are having a better week. 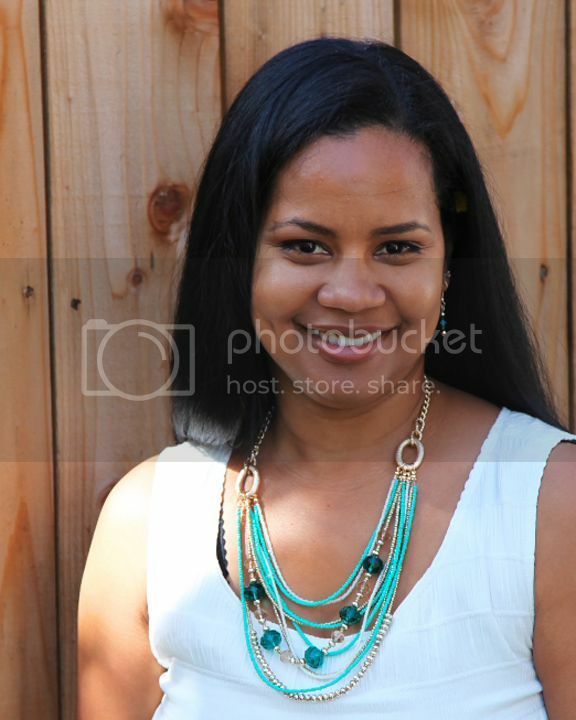 Thanks for sharing your wonderful creation over at Challenge up your life! Thank you Manuela!!! I haven't colored in pencils on so long...It was like riding bike all over again. Thanks for stopping by. Thank you Irene!! Thank you for stopping by. Gorgeous card! I too have made some wonderful online friends...somedays I don't know what I would do without them. I hope you know how much you inspire me as well! HUGS! This is beyond gorgeous! I do so love a large floral on an all white card. These colors are simply droolworthy and the total effect is stunning! Your coloring with the pencils is amazing. My heart is all aflutter! Thank you so much for sharing this in our Power & Spark Challenge at Power Poppy! Beautiful coloring! So simple, letting the beauty of the colors speak for themselves! This is such a beautiful card! Thanks for the inspiration. I want to go color up this image right now. You have a wonderful talent. Oh, Nazeema, what an absolutely gorgeous one-layer card! 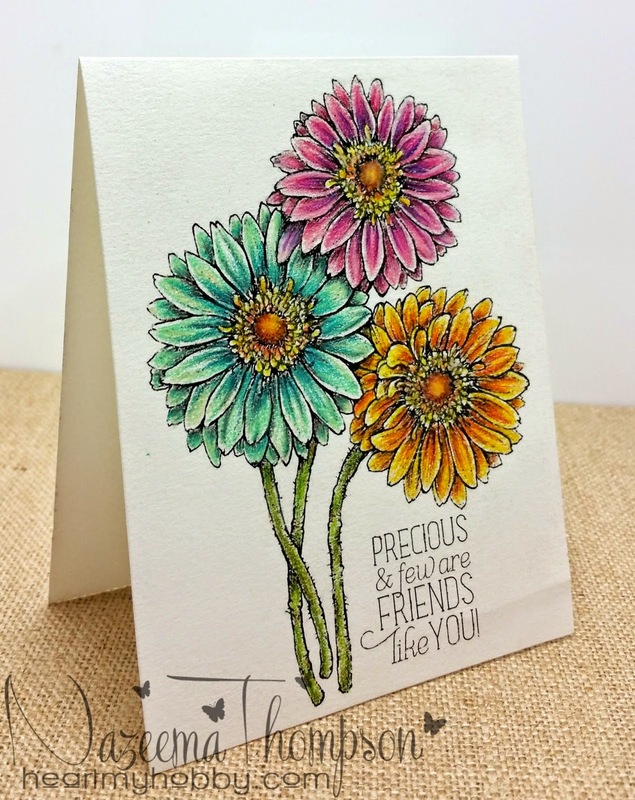 I love the large gerbera daisies on the textured paper colored with pencils. What beautiful coloring and depth! Stunning! Hugs! Wonderful coloring, I love your card.